Looking for something a little more unique than a traditional veil? 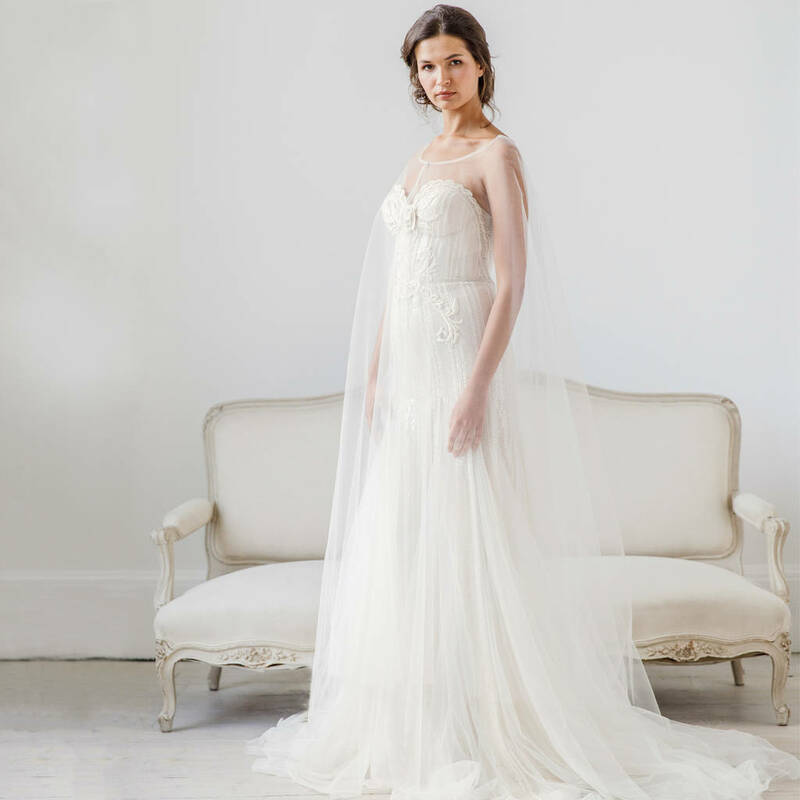 This delicate cape is sure to be admired and will make a perfect finishing touch to the bridal outfit. 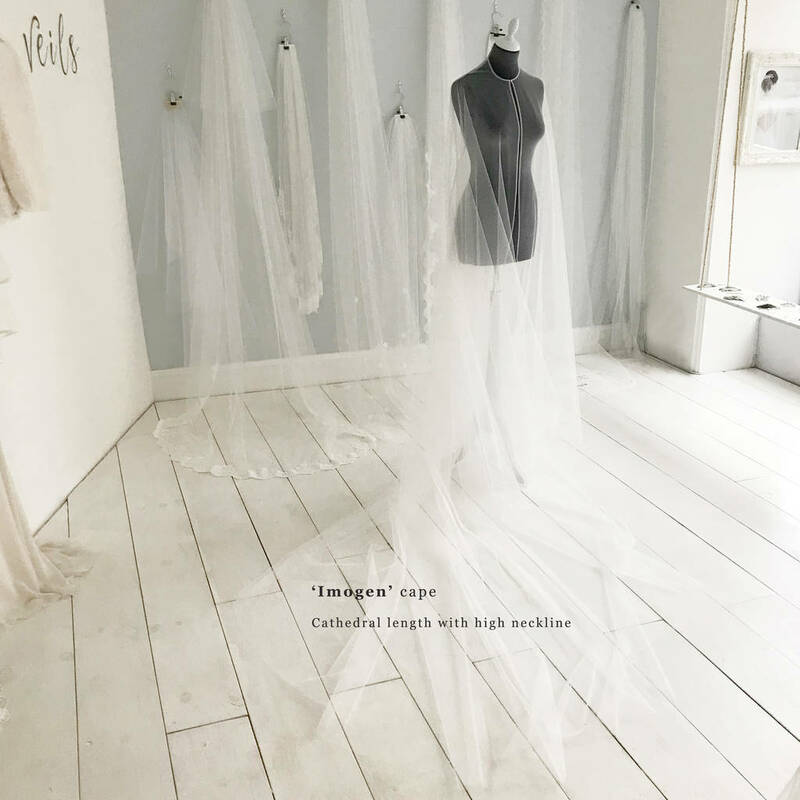 Imogen is created from our traditional tulle and finished with a hand covered hook and eye for a tiny touch of your 'something blue. Entirely hand made in our ancient workshop just outside Bath. Imogen is available in fingertip (122cm all the way around), ballet (150cm all the way around), floor (150cm at the front and 200cm at the back), church (150cm at the front and 250cm at the back) and cathedral (150cm at the front and 300cm at the back). 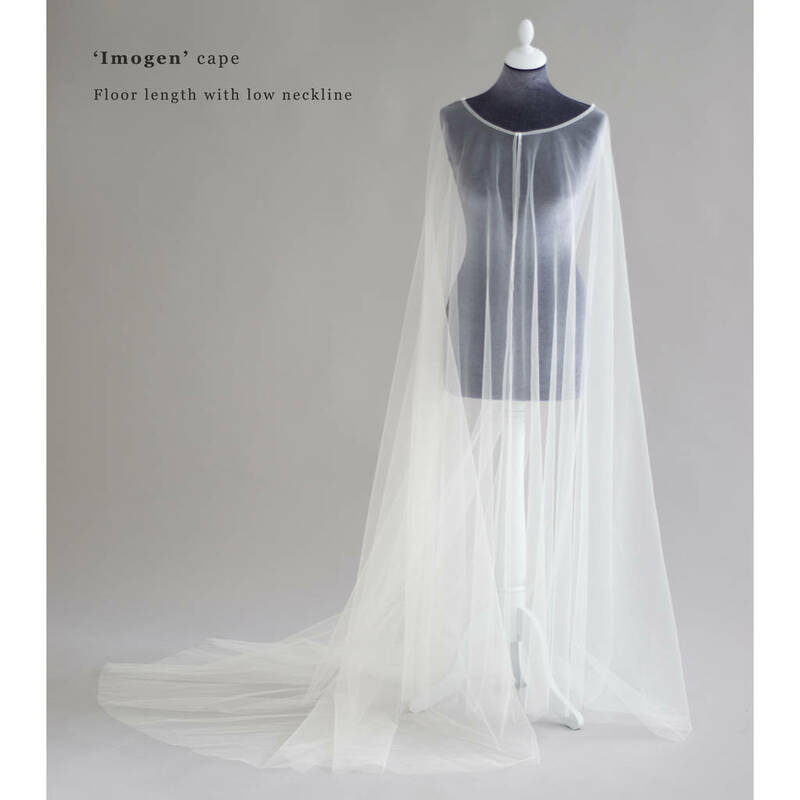 This wedding cape is available with a high or low neckline. 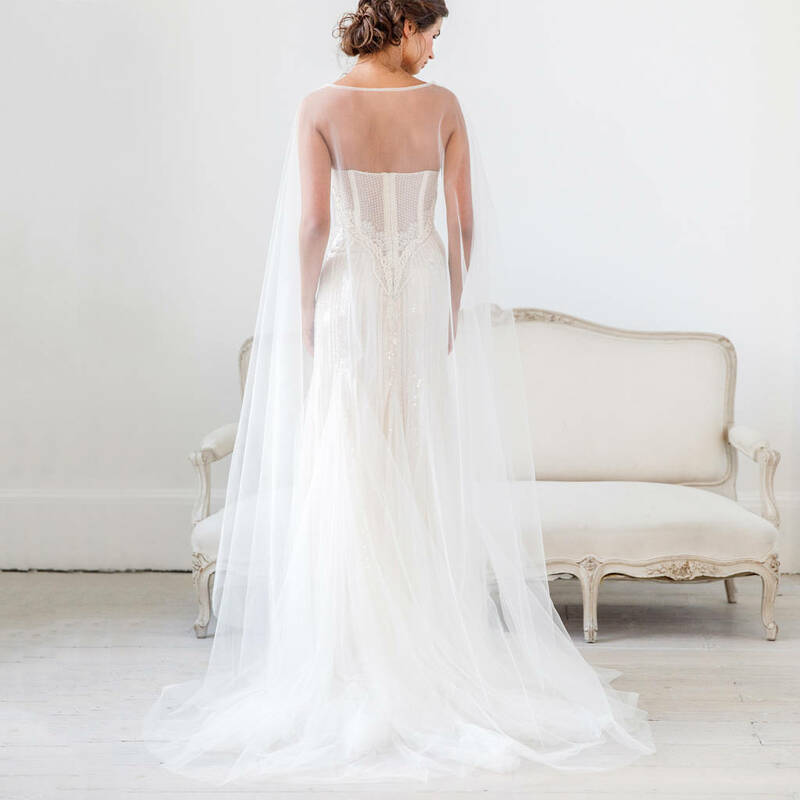 When your tulle cape arrives it's a very special experience. We use luxurious deep boxes designed to keep your Britten piece safe for generations to come. Inside this box, nestled in soft tissue paper, you'll find your cover up. 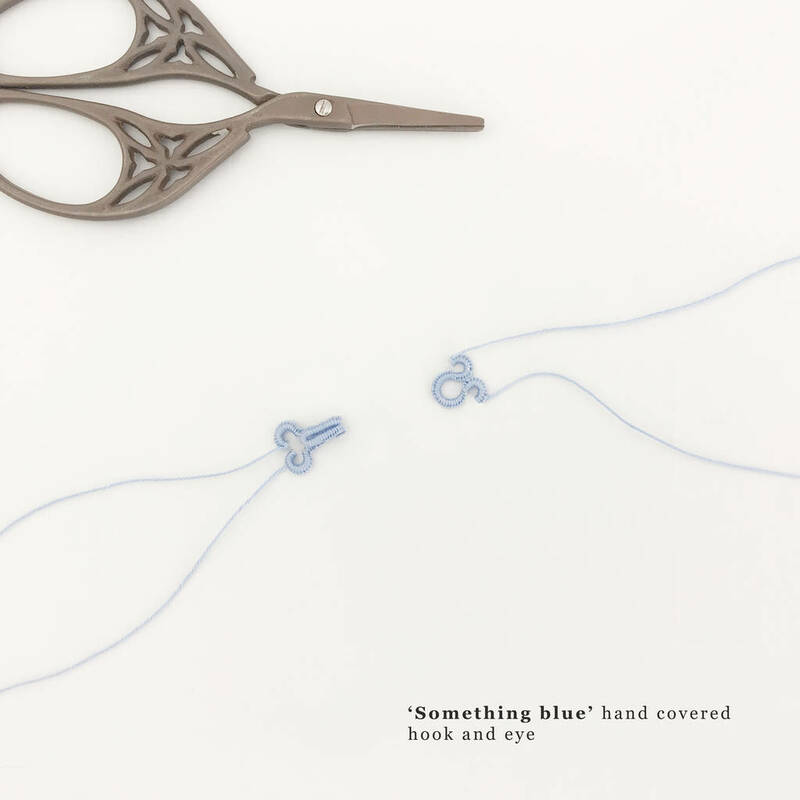 Due to this pieces hand made nature some tiny variations may occur. 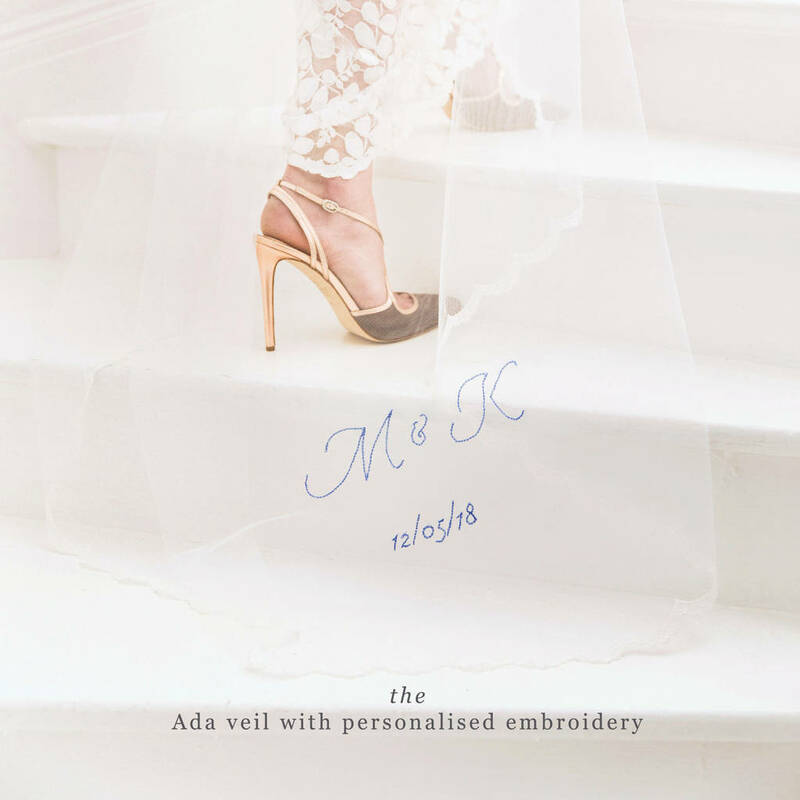 To make your wedding cape extra special and personal to you we can hand embroider two initials and your wedding date to any of our veils. The embroidery is approximately 25cm by 15cm but variations will occur depending on the letters and numbers you choose. 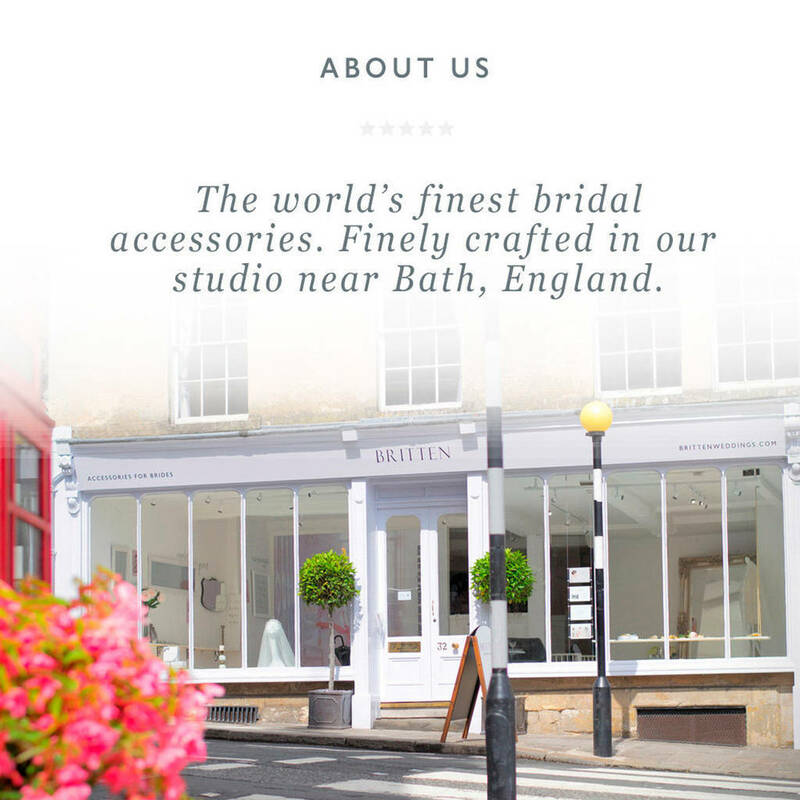 This product is dispatched to you by Britten Weddings.